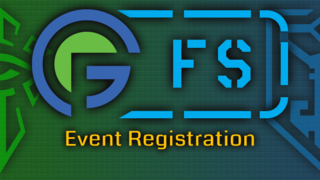 Hello agents and welcome back to another Ingress teardown. While some are eager for the continued teased "2.0" version, the 1.x version has some surprises left - this time with the return of Portal Submissions (in code). So let's take a look into 1.122.0. This was the first clue we noticed that submissions were no longer unlimited. This means you can only have a certain amount of submissions at a time. This number will change as it's controlled server-side via a little blob of text. This number does not have to be the same for everyone. Perhaps those that abuse submissions will be blocked, while those providing good portals will get a number increase. Number 2 comes from "circle" zones defined server-side which can change at any point. I assume once this version hits a 100% rollout to both iOS & Android we will see portal submissions return. These submissions, if approved, as of now will not count towards Seer. There has been no official news regarding Seer. Frankly boring in the scope of this release, but we gained another Beacon for the upcoming anomaly series (That actually started in Navarro). The list of Beacons is ever growing, but the pattern of Beacon for every release doesn't seem to end. 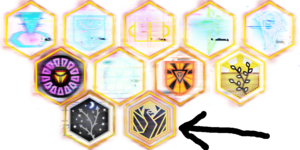 This means the Fracker/Beacon pack will probably launch soon. While an exciting release, remember that this is the 1.x branch of Ingress so the enhancements performed are small. 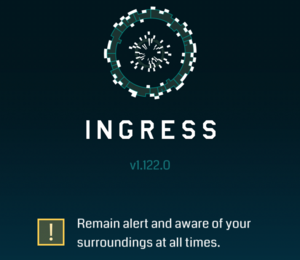 The additional beacons were for the anomalies and the return of portal submissions is something that not only helps Ingress, but also Pokemon Go. This release was the 2nd "pair" of releases in which Pokemon Go and Ingress released a new version at the same time. The Pokemon teardown included the start of development of Generation 3 while Ingress brought portal submission back. A very exciting day for Niantic on both games. I will see you guys at the next one.